You can find A Shot of Bourbon on Goodreads or you can check out an excerpt below! 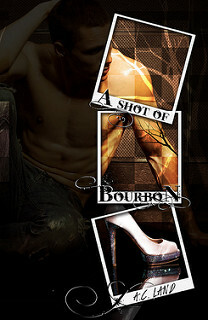 There is a blog tour wide giveaway for A Shot of Bourbon. One person will win an ipad mini (US Only)! My lungs burned for a cigarette. I had one left that I’d been saving until I absolutely had to smoke it. I twirled the filter between my thumb and forefinger as I watched my brother fold a pair of gym shorts and slide them neatly into the duffle he’d packed. “I put the cleats under the c-c-compression…you still listening to me?” Colly asked. “Don’t start.” He tossed the new duffle bag at me. It smelled like tennis shoes and burnt plastic. The scent was a reminder that, even though the stuff inside the bag was new, it was all donated and cheap. 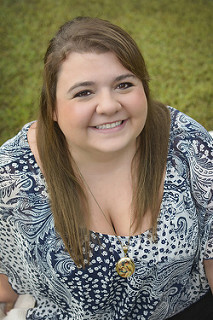 Colly had been handed a five-hundred-dollar pre-paid credit card and told to take care of both of us for the year. We each played three sports. The Boosters only used to buy us new stuff every other year after Mom died, but then Colly started showing them how good he was at football. I’m pretty sure they gave him the money to spend on himself. I was an unnecessary stipulation. “You gotta s-sign the receipt,” he said, uncurling the folded piece of paper and sliding it across the desk. “If you drop out or get kicked off the team, you gotta pay them back f-f-for your stuff.” His expression deadpanned. Well now, that was a new condition. “Yeah.” He licked his thumb and bent to wipe at something on his white tennis shoe. They weren’t new. They weren’t even gently used. But he’d just sent them through the washing machine a couple days ago. The less often they had to be washed the longer they’d last, and he needed white shoes for work. Colly rolled his eyes. “I’m sure they know that.” Meticulously, he folded the receipt and put it into his pocket. I laughed again. I Yanked off my faded blue Parker’s Garage uniform shirt and the white T-shirt underneath—at least, it used to be white. Unlike Colly’s shoes, this shirt had seen the underside of too many engines. Thankfully, Colly had thought to get black and gray T-shirts this time. I tore open the duffle and then the package of shirts. “Those are f-for ball,” he said, but he didn’t press it because he knew I was gonna do what I wanted. Thanks for being part of this blog tour and for sharing an excerpt from the book.